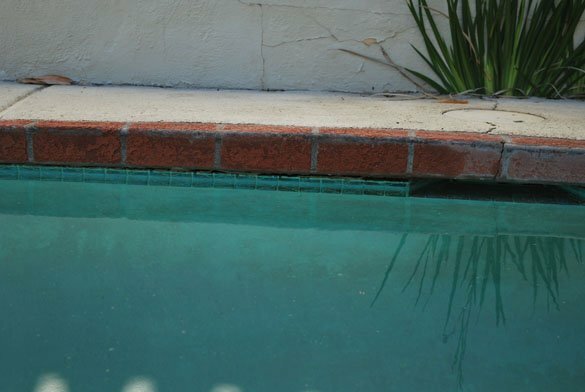 We performed a written home pool inspection in the Kensington area of San Diego. Our customer was interested in buying a home with a swimming pool. They wanted to know the condition of the pool, spa and equipment. After arriving at the home we noticed the pool would need a lot of work done. A complete pool remodel would be needed. There was a large crack below the brick coping. 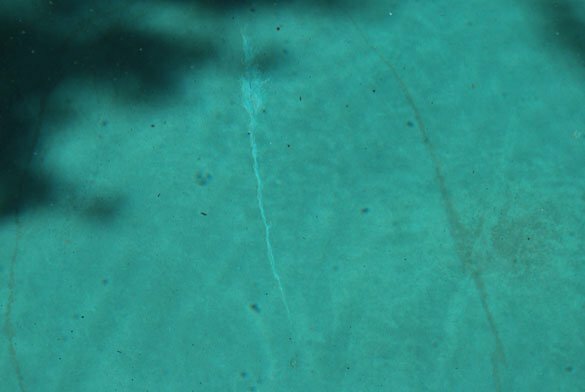 The crack ran about a third of the swimming pool. Along with the structural crack the plaster was in bad condition. Many cracks were also noticed in the plaster. Also the grey plaster had calcium nodules causing severe roughness. A good sized crack in the pool skimmer was noticed as well. Further work would be needed to identify the extent of the crack. The plaster in the spa was very stained and was beyond repair. After writing down the condition of the pool and spa we looked at the equipment. The manual water fill valve was leaking and would need to be fixed. 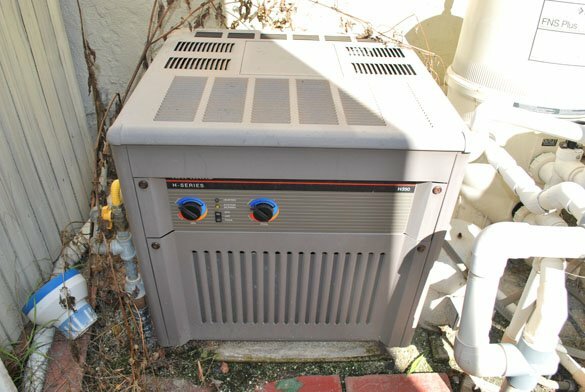 A Hayward H Series pool heater was in working condition but the gas line was not up to code requiring a necessary pool heater repair. 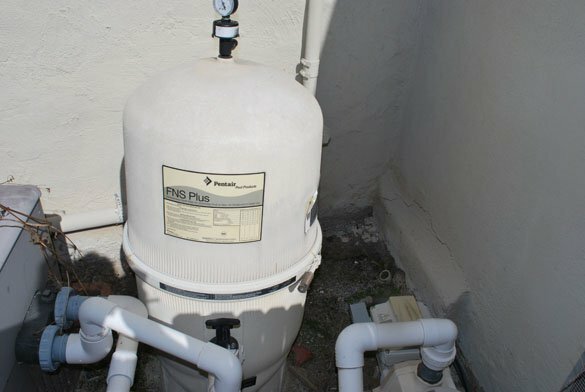 An FNS Plus pool filter was in fair condition. Debris was returning to the spa and pool so new grids are more than likely needed. The pool filter is also leaning and needs to be leveled. 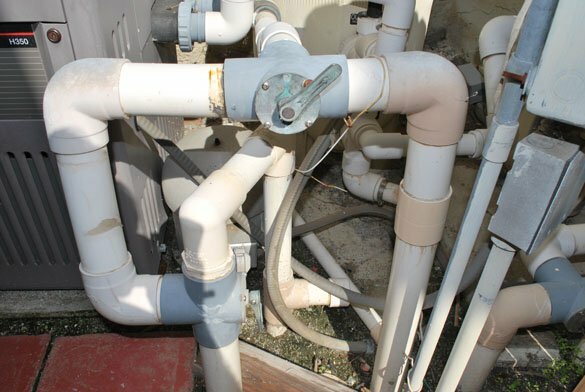 If not fixed it could crack the pvc pool plumbing lines. We also made note of the extremely old spa blower. It should be removed or replaced to help with the air intake for the spa jetting. 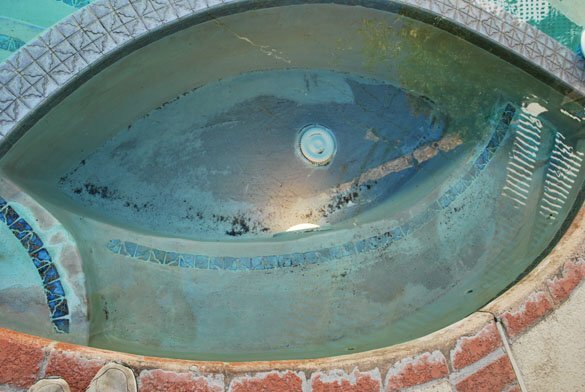 Water diverter valves that switch the flow from the pool and spa were very old and leaked. They should be replaced. As part of our home pool inspection we also checked the pool water chemistry. The water was not in proper balance. To resolve, a third to a half of the water would need to be drained and replaced.